After everyone has been fed, the dishes are all done and the lunches have been made, it is time for mama to unwind! 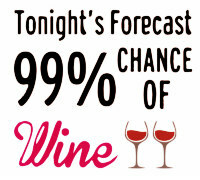 What better way then with wine that I do not have to go to the store to get! Oh yea, this wine shows up right to my door, I can choose up to four different wines from the selection that Winc has to offer! 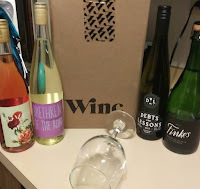 For this box I selected more fruity wines. I have only had a chance to try two of them so far. I have never had a rose so I was super excited about this one! The Loves Me Not Rose is a sweet and fruity rose. It has hints of Guava, Pineapple, Peach Ring and Mandarin Orange! To top these fruity tastes it has a bit of an earthy taste as well. It pairs well with Thai, Sushi and Chinese. Best served chilled, but this is absolutely delicious! I personally Love this one all on its own! This is something I come home and just have a glass of. I think this would make a good dessert wine! 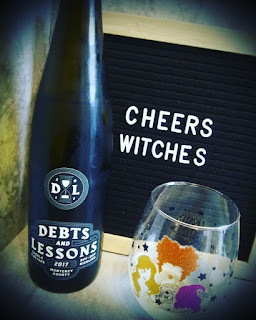 The next one I tried is the Debts and lessons. It is a dry Riesling. It too pairs well with sushi, thai and Indian food. It is to be served chilled. It is sweet and earthy, however I did find that with this one is delicious with something of the salty and caramel flavor! I had this delicious salted caramel chocolate bar and my heavens that was a tasty combo! I will have to let you know more about the other two, but until I finish off these two bottles I currently have open, I have no plans to open any more bottles! However click here to get your wine box going and ordered!!! 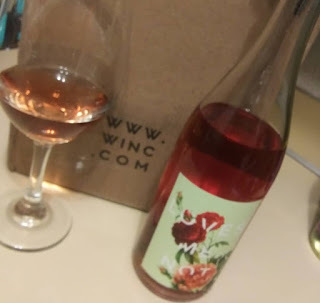 You will get $20.00 of Winc Wine!